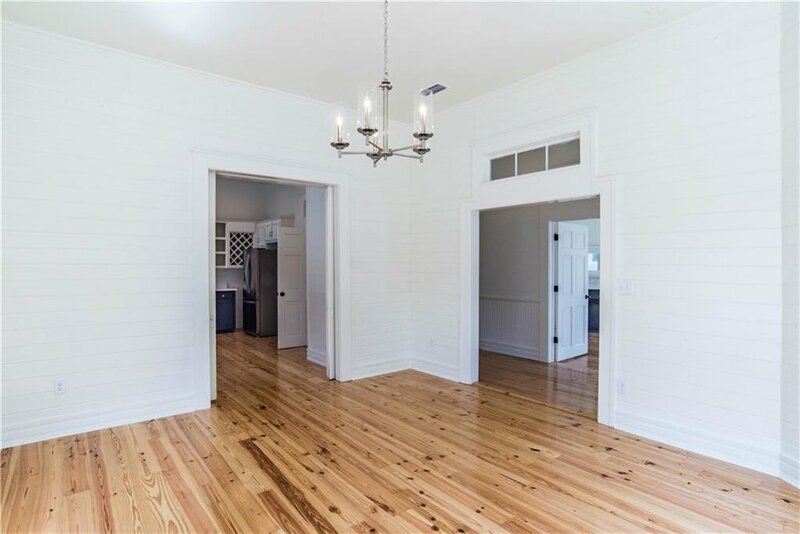 Once popular throughout the region, few examples of this Queen Anne style, late Victorian Center Hall Cottage are still available in Mobile. Circa 1904, this property has undergone a stunning restoration with every attention to detail. 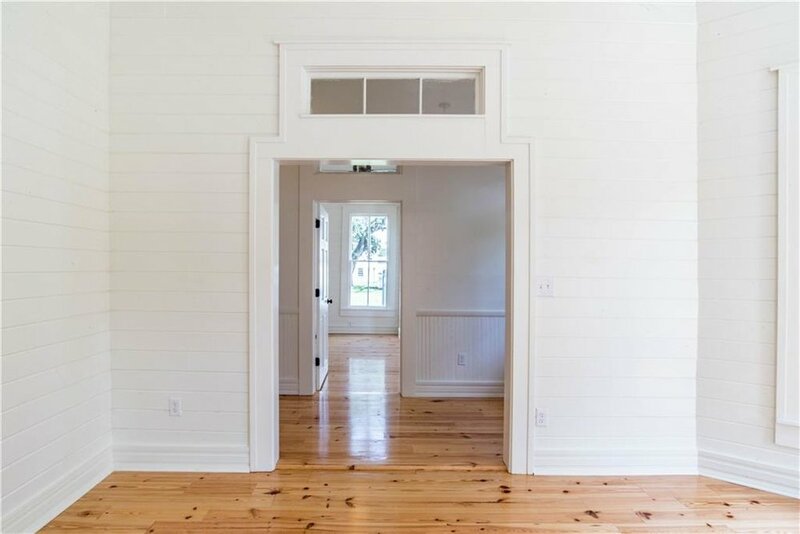 All the walls feature locally sourced tongue-and-groove pine paneling and there is new pine flooring throughout. 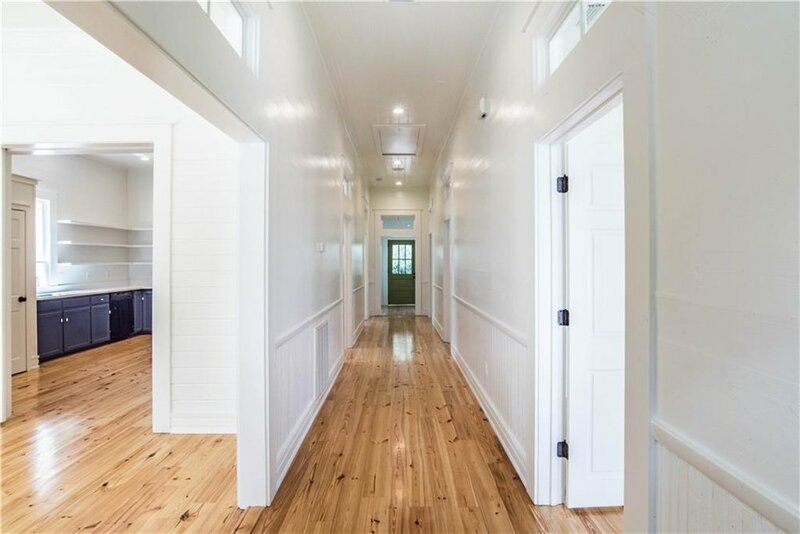 Enter the house through a long and elegant center hall with soaring 15 foot ceilings. 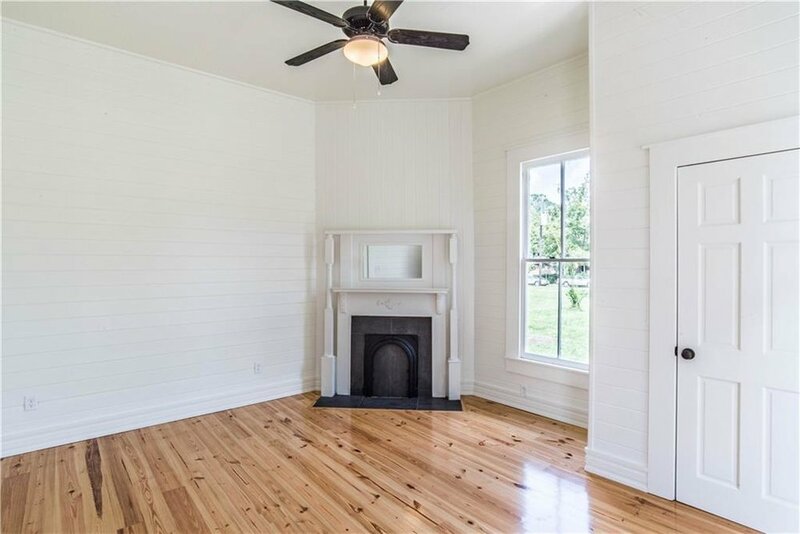 The living room features a beautiful front bay window, a stylistic aspect common in this type of home. Refurbished pocket doors lead you into an entirely updated kitchen with cabinetry (including built-in wine rack) repurposed from a 1940s era home. White quartz countertops, open shelving, and ample closet space bring a modern touch to the kitchen. Two large bedrooms, one of which includes an original fireplace and mantel, are accessed off the center hall. A hall bath features double sinks and a beautifully repurposed porcelain tub. The master bedroom has a spacious walk-in closet, separate tiled shower, and tons of natural light. 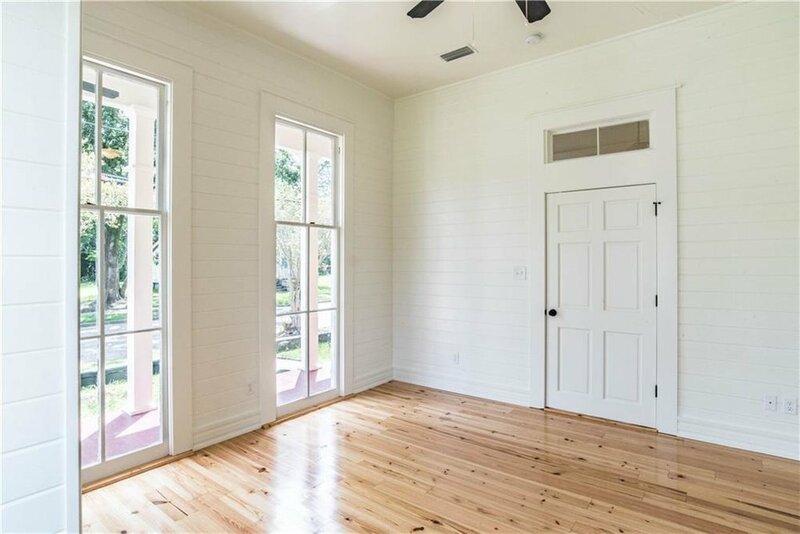 The back of the house gives you more space to be used as a den, office, or mud room. All new (2018) electrical, plumbing, appliances, gas tankless water heater, electric heat pump, and air conditioning unit. Roof replaced in 2018 with timberline architectural shingles. This house is located in the Oakleigh Garden Historic District, a locally-designated historic district also listed on the National Register of Historic Places. The property is just blocks from Washington Square, Callaghan's, Kitchen on George, and Pollman's Bakery! Come take part in the next chapter of this truly remarkable historic home.